Postcards from a War Hospital was a two year research project funded by The Museums Association – Esmee Fairbairn Collections Fund. The project began with assessing the existing collection at Glenside Hospital Museum (GHM). Using copies of original World War One autograph books which were signed by soldiers and staff, we made a long list of all the people we wanted to find out about. It has been wonderful and inclusive project, helped on our way by GHM staff and visitors, we now have a substantial archive of over 200 images, artefacts, and many stories. Our research has inspired three exhibitions- at GHM, Bristol Cathedral, and Southmead Hospital. We have worked with performance arts students from City of Bristol College on a drama production, and throughout the project we have supervised placements with 3rd year history students from The University of the West of England, who have been invaluable for their diligence and enthusiasm. This website provides access to some of the stories we have uncovered. 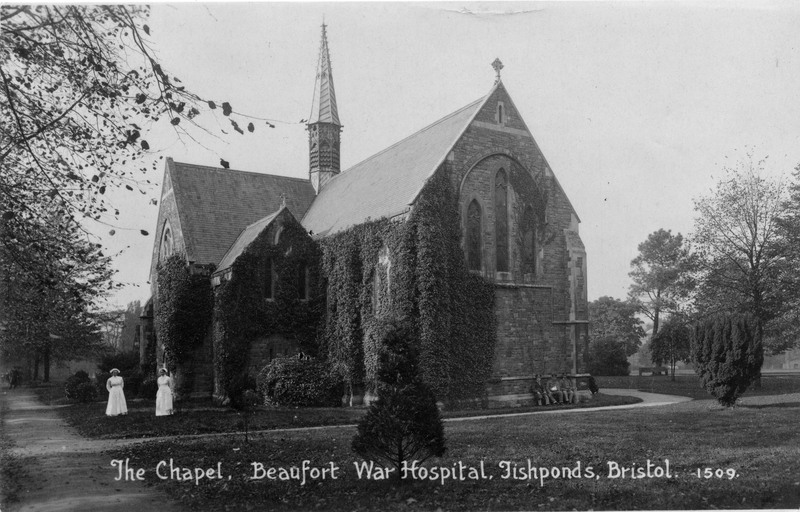 For a more in depth exploration of the staff, patients and work of The Beaufort War Hospital please visit our archive. The archive, both digital and paper, is kept at GHM and is available at museum opening times – Wednesday and Saturdays from 10.00 – 1.00. It is also available by appointment. We would like to thank the Friends of Glenside Hospital Museum for all their help and guidance during this project.